Pin-tumbler locks are the most common form of physical security that we encounter in of daily lives. Most of us lock our front doors without further thought to the security of our homes. CASSA aims to change the misplaced sense of safety and security that too many of us place in common door locks, because it is only by understanding a problem can we begin to find solutions. 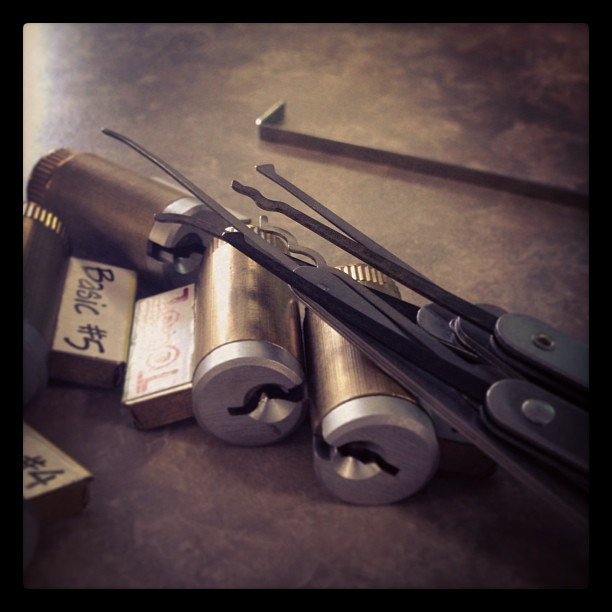 Our Lock Sport Workshops are aimed at introducing students to the concept of lockpicking and teaching students how to open common tin-tumbler locks without a valid key and without damaging the lock. Learning to open a lock without the key is sure to change your perception of home security forever. The�workshop includes a brief presentation on the theory of how pin/tumbler locks work, basic vulnerabilities and how to exploit these vulnerabilities. The rest of the workshop will be practical and CASSA will be loaning out their lockpick sets for the duration of this event.